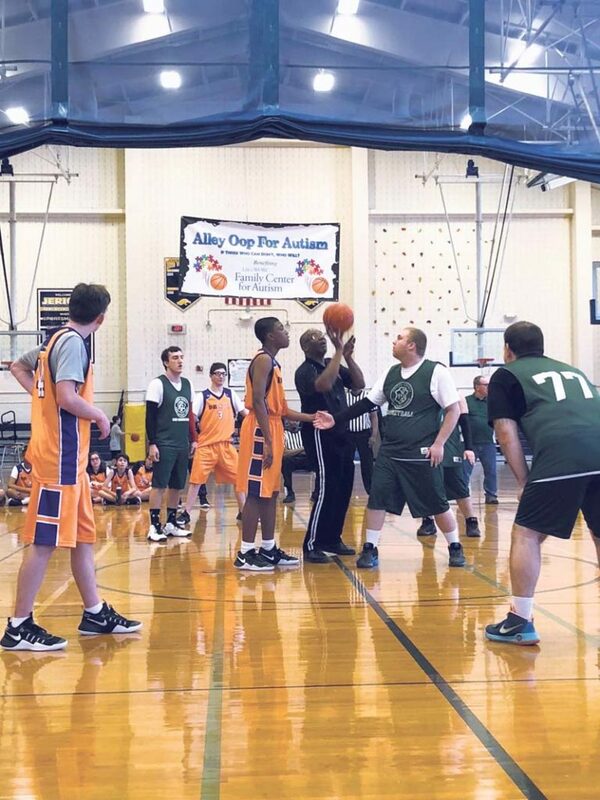 Alley Oop for Autism is entering its 13th year at Jericho High School. This isn’t the BIG3 basketball league. It’s much more special than that. April is National Autism Awareness Month. It’s time to spread awareness about autism spectrum disorders, which affects one in 59 children, according to Autism Speaks. A local initiative is attempting to do what it can to raise awareness for those who are impacted by autism in the community. 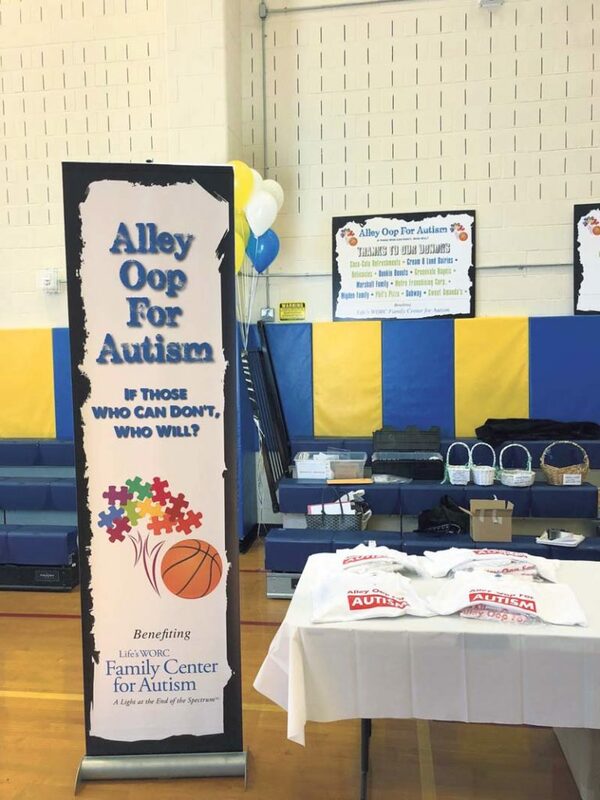 For the 13th straight year, Alley Oop for Autism will come to Jericho High School on April 13, raising awareness and money for two local organizations that are determined to help families who have children with autism. Justin Res nick, founder of the tournament, came up with the idea as a junior at Jericho High School with his family. 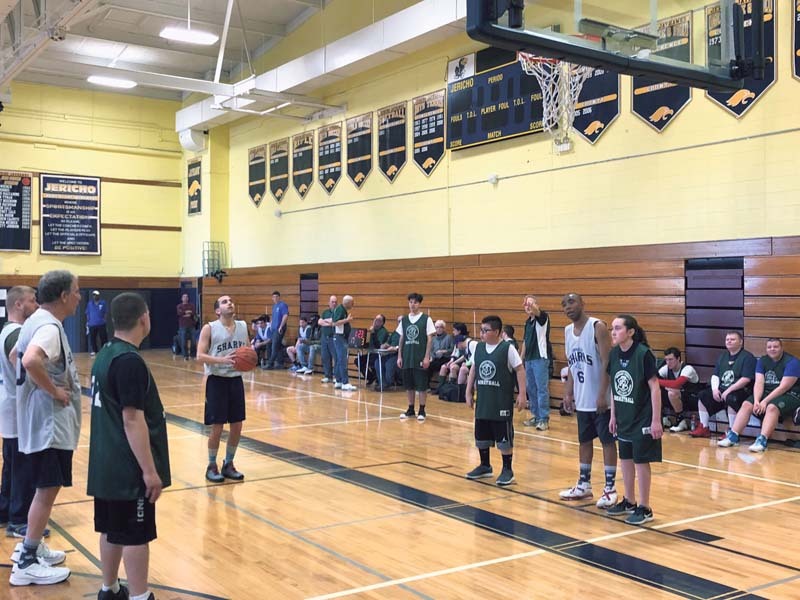 The idea: To have a 3-on-3 basketball contest to help those with autism. Resnick set out on a mission. He was determined to make a difference. But when he first pitched his idea to Jericho High School’s athletic director at the time, he was rejected. The reasons were weak, including scheduling problems and insurance ones. Resnick reached out to coaches of varsity teams that would potentially have practices during his tournament. They agreed to move them accordingly. And he even found an insurance policy for the event. The answer was still no. So he went to Superintendent Henry Grishman, who not only approved of Alley Oop for Autism, but made sure parents and students alike would be involved. Last year, Alley Oop for Autism surpassed the $1 million mark. Each tournament has raised about $100,000, and the expectation for this year’s event is no different. The tournament will consist of eight games at a time. The clock will be set at 15 minutes, and the team that reaches 15 points first or is up at the buzzer will move onto the next round. All players are guaranteed at least three games on the day of the event. This competition has been a hit for students, teachers, staff and parents alike over the years. But when the event first started, the goal was $10,000. Resnick never thought it would become such a massive fundraiser. Students from not only Jericho High School, but from the neighboring Syosset and Roslyn schools are also involved in the event’s planning. There is a committee consisting of about 30 students from the different schools, encouraging teenagers to make a difference. And they have done exactly that. The competition, which lasts from noon to 6:30 p.m., will benefit the Family Center for Autism in Garden City and Life’s WORC in Mineola for its Day Habilitation Program. Until three years ago, funds went directly to the Ascent School for Autism, but they changed charities just to spread the love a bit more. Overall, about 1,000 people are expected to pack into the gym for this cause. 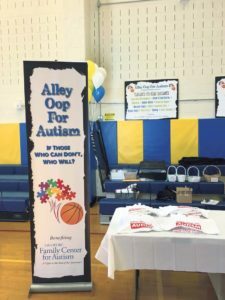 To find out how to sign up or sponsor the event, locals can visit www.alleyoopforautism.org.